Most homes in California use galvanized pipe to service the gas system. As galvanized pipes go old, rust and decay build up within the pipe, constricting the flow of gas. As less volume of gas is able to flow from your pipes, it becomes difficult to run multiple appliances at a time and ultimately impossible to run even a single appliance much less a stove or water heater. 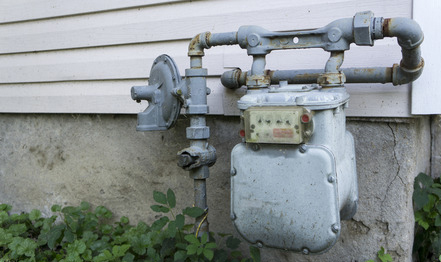 If you have on-going low gas pressure in your house or you have multiple gas leaks then it’s symptomatic that you have rusty gas pipes, the rust will eventually eat through the old pipes, and you will be facing a gas leak throughout the house. A gas REPIPE is the answer to this issue. THE RESULT: You end up with a new and safe gas system in your residence rated to service all modern appliances including tankless water heaters and restaurant style stoves.